This week was really good, and a big part of it a being a good week was being able to listen to General Conference as well as go to one of the sessions of it too! 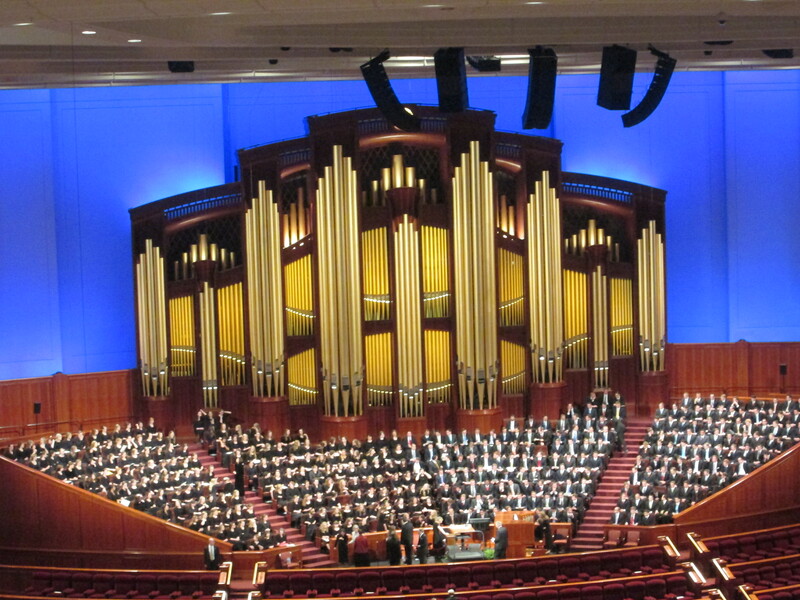 Elder Glaves and I got to go to the Saturday afternoon session of conference at Temple Square, and we got to listen to Richard G. Scott, Quentin L. Cook, David A. Bednar, Russel M. Nelson, John B. Dickson of the 70, and Stanley G. Ellis of the 70 speak to us. It was a great session, but I honestly have to say that my favorite sessions were the Sunday Sessions, when they all talked about the Atonement and that we do not need to fear about what has happened in the past, but focus on what lies ahead of all of us. Those talks were so powerful that I honestly had to check myself multiple times to see if I am worthy enough to to this work that I have been called to do. I then thought of a scripture in Doctrine & Covenants in section 31 verse 5 which reads: “Therefore thrust in your sickle with all your soul, and your sins are forgiven you, and you shall be laden with sheaves upon your back, for the laborer is worthy of his hire. Wherefore, your family shall live”. If I completely take this in and strive to grow my faith in Christ then he can help me by comforting me along the way. There has been one major stumbling block that I have noticed more and more as I go through my days as a missionary and that is Pride, which is frowned upon in the scriptures. You wouldn’t think that it would be so easy to recognize something like that in yourself, but from my experience being here, the mission can make you prone to anything if you aren’t careful. You can apply it to yourselves too, because you see it everywhere you go in life whether it be with a job or with a game that has come down to the final seconds and is determined on the final play! Stay safe everyone – we all live in a crazy world right now and we can easily be led astray if we aren’t careful with our choices. I am still learning how to go all out with everything I do here without falling into the same Pride hole all all the time. We all have room for improvement, but we should all remember our real purpose here and that is to prepare to meet God. I love all of y’all and hope for the best for everyone!